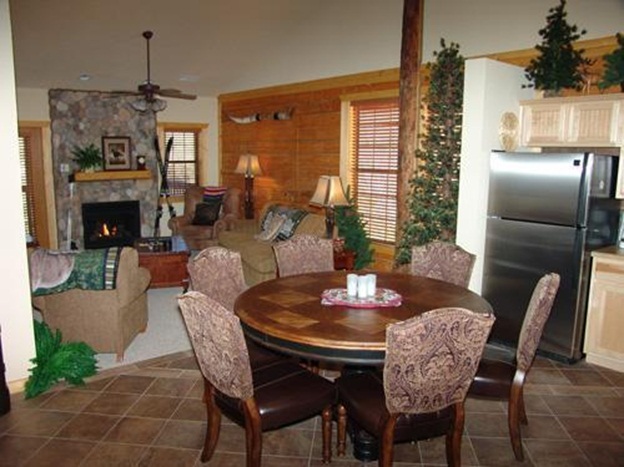 If you want to explore Branson on a budget and still want to get the most of your vacation, stay in a Branson cabin at Thousand Hills Golf Resort. The resort not only offers visitors cozy accommodation, it is also a perfect place for family who wants to enjoy the beautiful natural scenery, wildlife and the spectacular landscape of the golf course. Taking a vacation on a budget doesn’t mean skipping out on fun. Your stay at Branson cabin, will let you enjoy unforgettable outdoor experiences that don’t cost you a dime to affordable attractions, activities for the whole family, and shopping opportunities where you can get more by spending less. A great way to enjoy your budget-friendly vacation in Branson is to check deals offered at some establishments. Whether you’re interested in shopping, lodging deals, or discounts on dining, you can find special deals in Branson that can help stretch your vacation budget. Once you’re ready to enjoy your budget-friendly getaway in Branson, try the great outdoors of Missouri’s Ozarks. At Table Rock State Park, you can easily enjoy exciting activities such as hiking, fishing, horseback riding, camping, or biking. If you are complete with gears and equipments, these activities don’t cost you a dime. Even if you don’t have your own bike to enjoy the ride on the trail, you can rent a bike with fees ranging from $10 to $30 depending on the type of equipment rented and the duration of your journey. And if your budget is a bit more open, you can rent a boat for fun ride or fishing at the park’s marina with the rent price below $200. If outdoor adventure isn’t the one you’re looking for, plan a stay-and-play package at Thousand Hills Golf Resort or at some Branson’s family friendly resorts. If you stay at Thousand Hills, you can have access to its most popular 18-hole golf course in Branson. At Welk Resort, you can have access to a 10,000-square-foot indoor water park. The park also boasts a 100-foot water slide, plus indoor/outdoor features. In Branson, your vacation will not be complete without enjoying a little shopping. There’s a variety of outlet shopping options in Branson that offer great deals and at lower prices. At the Shoppes at Branson Meadows, you can find several retail outlets that offer special deals such as VF Factory Outlet and Dress Barn, while Tanger Outlets near the area offers everything from accessories, clothing to jewelry. These are just some of the shopping places in Branson where you can find special deals and discounts. Branson Landing is another shopping destination that offers not only great shopping, dining and entertainment in Lake Taneycomo, but the showstopper is the spectacular 120-foot fountain show which features fire cannons, water, light and melodious music. This great spectacle starts at noon every day then runs every hour on the hour. Branson cabin is a great place to stay if you want to get the most of your vacation budget as it is near the area where shopping opportunities abound.